Cynthia Harcourt, a wealthy ex-schoolmate of Lucy's is collecting for charity. Informing Lucy that their mutual friend Anita "gave six". Cynthia is instructed by Lucy to "put me down for five." But when the uppity friend arrives to collect the pledged funds, Lucy is shocked to learn that her "five" meant five hundred dollars. Not to be outdone by her wealthy friend, proud Lucy intends to earn the necessary cash. Ethel sees an encouraging advertisement in Billboard magazine. Al Sparks needs someone "brave" for a publicity stunt involving a new movie, "Woman from Mars"; the salary, five hundred dollars. Taking the job despite the evident risks, Lucy and Ethel dress in Martian drag and "invade" the top of the Empire State Building. The stunt makes headlines and, for Lucy, the needed five hundred dollars. 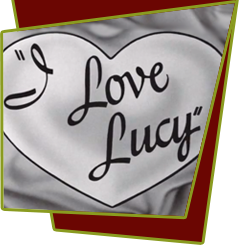 Special Notes: Mary Jane Croft makes her debut appearance with Lucy in this episode. She appeared with Lucy many times over the years in I Love Lucy and Lucy's later TV shows, The Lucy Show and Here's Lucy. Bloopers: When Lucy and Ethel the "Martian Women" are in costume scaling the outside railing of the Empire State Building, the first shot of them shows they both have ray guns tucked in to their belts. When the shot pans back to them climbing down, only Lucy has her gun and the two of them hand it off to each other whenever they use it. But when the full shot is shown of the observation platform, you can see the other gun lying off in the background where Ethel dropped it!